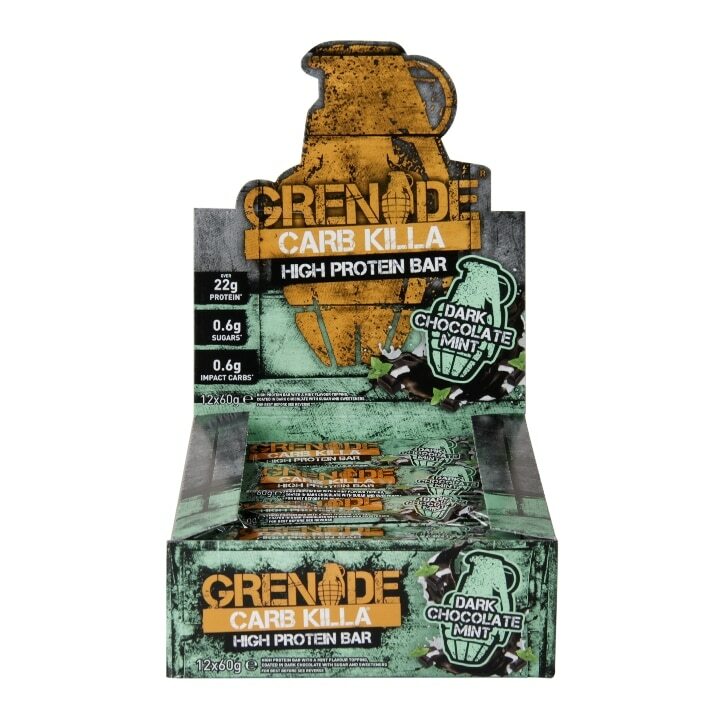 Grenade Carb Killa Dark Chocolate Mint Bar is made using a specially selected baking process for exceptional taste resulting in a softer, crunchier texture. Carb Killa is high in complete proteins and loaded with tons of fibre. Carb Killa is made up from delicious triple layers, filled with crunchy 'crispies' all coated in chocolate. Low sugar and low calories, this bar really is the perfect high-protein snack. Product contain more than 10g/100g polyols: excessive consumption may cause laxative effects. May also contain Wheat, Gluten, Eggs, Nuts, Peanuts and Sesame Seeds. Grenade Carb Killa Bar Dark Chocolate Mint is rated 4.9 out of 5 by 51. Rated 5 out of 5 by Ruchi0918 from Finally a p bar that doesnt taste like cardboard Great quality and taste. I ordered the dark chocolate mint and it was perfect for me. Not too sweet. Bang on! Rated 5 out of 5 by Lilyl from So good that it feels naughty eating it I love the dark chocolate and crispy bits in this bar. Personally, I think it's the tastiest CarbKilla flavour.